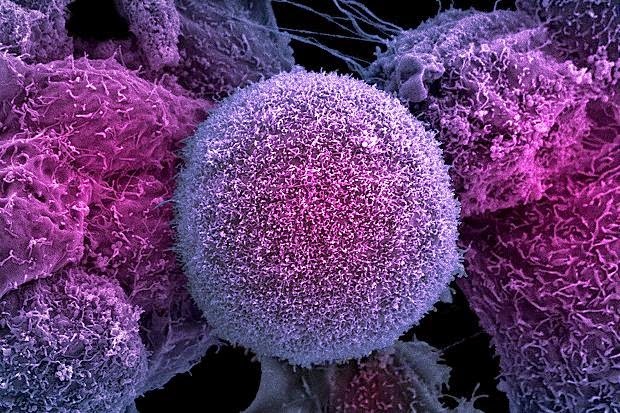 ﻿Scientists have found a promising new therapeutic target for prostate cancer. The findings offer evidence that a newly discovered member of a family of cell surface proteins called G-protein coupled receptors (GPCRs) promotes prostate cancer cell growth. The protein, GPR158, was found while the researchers were looking for new drug targets for glaucoma. The research was published in PLOS ONE. When a prostate cancer tumor is in its early stages, it depends on hormones called androgens to grow. Eventually it progresses to a more lethal form, called castration-resistant prostate cancer (CRPC), and is resistant to drugs that block androgen receptors. The researchers found that GPR158, unlike other members of the GPCR family, is stimulated by androgens, which in turn stimulates androgen receptor expression, leading to tumor growth. The team also discovered that GPR158 is associated with neuroendocrine transdifferentiation (NED) of epithelial prostate tumor cells, which plays a critical role in development of resistance to contemporary androgen receptor-target therapies. The scientists found that prostate cancer patients with elevated GPR158 expression experienced recurrence of prostate cancer. The GPR158 protein is a likely target for new prostate cancer drugs. Based on material originally posted by University of Southern California - Health Sciences.